We get it, it's day three of no school and the kids are restless. We recently reached out to parents on our Facebook page for ideas on what to do when school is out, here's some of our favorites. Wendy Floyd: They are cleaning out dressers so we can donate or pass down clothes that don't fit anymore. Betty Wilborn: We wrote two silly stories. Jim Wallace: Put a book in their hands and after their done reading it give them a quiz. 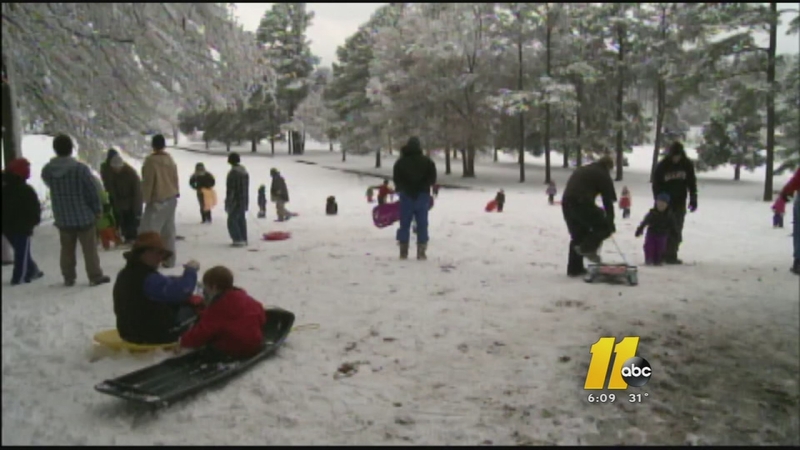 Melinda DAngelone: Pump It Up of Raleigh has held Snow Day camps for ages 4-12 at the great price of $35. My son had a blast yesterday!! It was the first day that we were able to get out of our neighborhood, so it was a welcomed way to burn off some energy and give mommy a break. Channise Brown: Rearranging their room and redecorating it. ABC11's Science Club with BASF has tons of experiments for you to try out with your kids. Check it out here. Some parents and kids enjoyed an unexpected stay-cation. Others got chores done around the house.